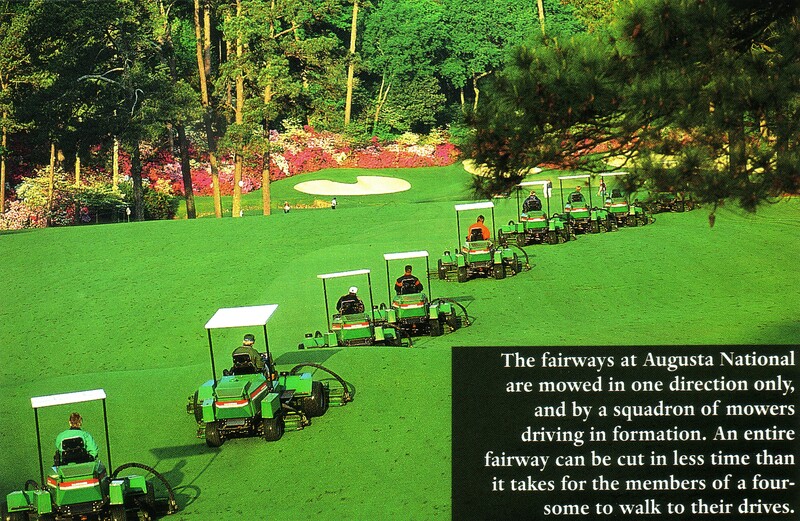 From "The Making of the Masters"
It’s best to let your yard dry out before watering. Over-watering encourages disease and weeds. You’ll save water and improve your results if you hand-water trouble spots rather than always soaking the entire lawn. Watch the weather forecast and turn off your sprinkler system when rain is on the way. Don’t shorten grass by more than 30 percent in one mowing. Removing too much of the leaf at once causes stress and promotes disease. Sharpen the blades of your mower. Augusta National sharpens all blades daily, because sharp blades cut grass rather than tearing it, and that’s better for the grass. Most homeowners never sharpen their mower blades. Have your soil tested, and ask your local extension service for advice specific to your soil type and your region. 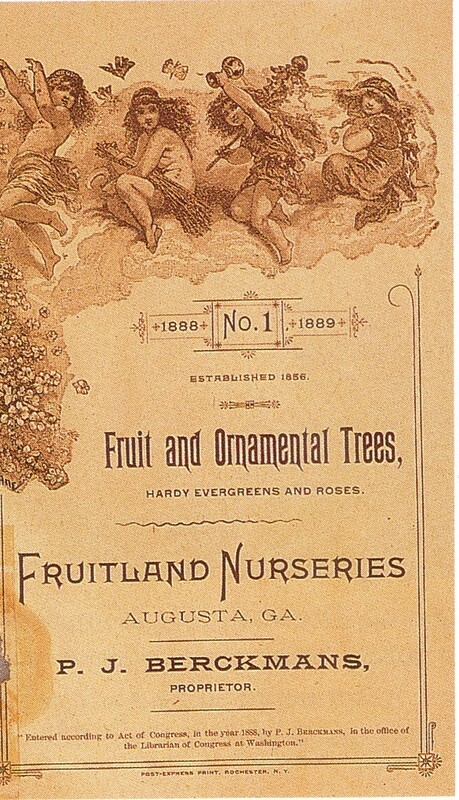 The Augusta National property was a nursery before it became a golf course. This entry was posted in Masters, Tournaments by David Owen. Bookmark the permalink. One of my favorite things at ANGC is that each of the mowers has a bright yellow tennis ball on the dash! If the mower in front of you springs a hydraulic leak the driver of the mower behind grabs his tennis ball and throws is as far as he can as fast as he can. It is so green there that the tennis ball really shows up when thrown. When the driver spots the tennis ball they all cut off their mowers at once to prevent damage to the grass by the leaking oil. With all of today’s technology a yellow tennis ball is still the best idea! Before being stored (indoors) every day all the equipment is wash even the blades to prevent spreading of disease or pest to other parts of the course. I’d love to know what kind of sickening brew courses through Rae’s Creek. Rae’s Creek carries the Blood of a thousand golfers…. I use to live in Augusta but I never knew this fact. Interesting idea. Sounds like I need to get my own crew for my yard.